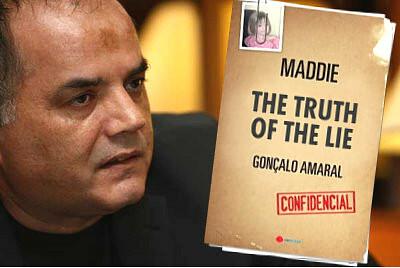 GONÇALO AMARAL - BRITISH MEDIA SMEAR CAMPAIGN: Meet the Family - Eileen McCann - Gerry's Mom - Maddie Missing Two Short Weeks - NOW - Listen To Her Remark 'Gerry's Fine With The FUND 'Stacking' AND Brian Kennedy's ONLY Interest That He Makes Damn Sure You Know Where To Send Your Money - To The FIGHTING FUND ! Meet the Family - Eileen McCann - Gerry's Mom - Maddie Missing Two Short Weeks - NOW - Listen To Her Remark 'Gerry's Fine With The FUND 'Stacking' AND Brian Kennedy's ONLY Interest That He Makes Damn Sure You Know Where To Send Your Money - To The FIGHTING FUND ! Did you hear that ? 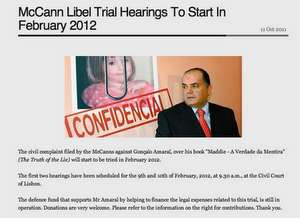 'The FIGHTING FUND' The Money To Be Used For Legal Expenditure !